In this documentation, we can learn how to manage import/export in AbanteCart. 2) Click on the option ‘System’. 3) Go to Data >> Import/Export. 4) Select the tab ‘Export’ to export the data. 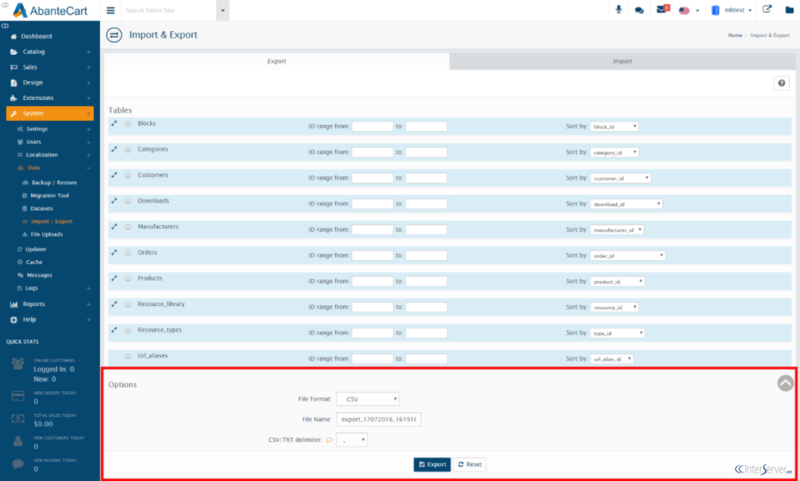 5) Enter the details and click the button ’Export’. 6) Select the tab ‘Import’ to import the data. 7) Enter the details and click the button ‘Import’. That is how we can manage import/export in AbanteCart.